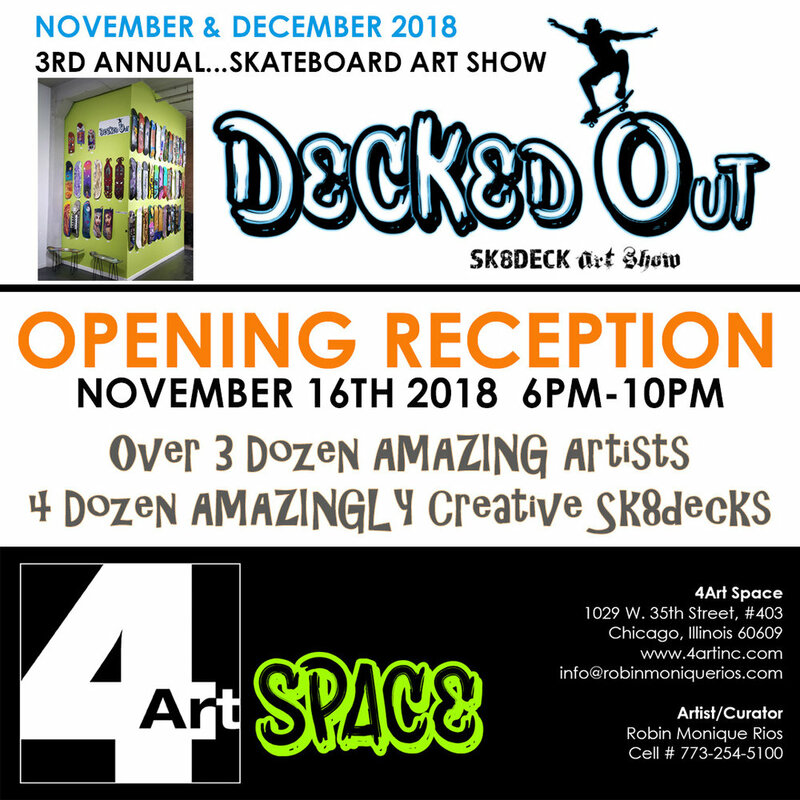 This Friday the 4Art SPACE of the Zhou B Art Center will presenting its 3rd annual skateboard art show called “DECKED OUT: Sk8deck Art Show”. I am one of 40 other artists who provided works done on blank skateboard decks for this exhibition. The show's exact location will be at: 1029 W. 35th Street on the 4th floor of the Zhou B Art Center in Chicago Illinois. An opening reception will be held this Friday (November 16th) from 6PM-10PM and a closing reception will be held on Friday, December 21st 6PM-10PM. © 2015-2019 Vincent Lotesto. All rights reserved.